Aug 30, 2017 (LBO) – Sri Lanka’s global tea brand Dilmah Ceylon Tea Company is to acquire the tea export business of MJF Teas (Private) Limited for 442.5 million rupees through a private placement. The company said in a stock exchange filing that the decision to consolidate was taken after taking into consideration the financial statements, past performance, future forecasts as well as the valuation report of MJFT. Dilmah said they will issue up to 737,500 new ordinary shares at 600 rupees per share by way of a private placement with these shares ranking equal to existing ordinary voting shares. The stated capital of the company at present is 200 million rupees and the public holing of the company currently is 12.81 percent. MJFT currently holds 65.38 percent of the shares of the company and after the private placement the shareholding of ordinary voting shares will go up to 66.61 percent. The private placement is subject to the approval of stock exchange, BOI and shareholders at a General Meeting for the allotment and issue of the private placement shares. The move is pursuant to a group restructure initiative to consolidate all value added tea export operations of MJF Group under one entity. Accordingly, Dilmah has considered following benefits for the company before approving the expansion of its operations to cover all export territories by acquisition of the tea export business of MJF Teas. Meanwhile, Dilmah Ceylon has made three changes to the company following its decision to acquire the tea export business of MJF Teas. Dilhan C. Fernando, Director, was appointed Chief Executive Officer of Dilmah and he will be responsible for management of the tea business of the group. Malik J. Fernando was appointed as the Chief Executive Officer of MJF Leisure (Private) Limited, the leisure arm of the group and he will be responsible for the management of the leisure business of the group apart from serving on the board of Dilmah. Himendra S. Ranaweera will continue to act as the Deputy Chairman of Dilmah and other companies of MJF Holdings. Sri Lankan family tea company Dilmah, founded by Merrill J. Fernando, pioneered the concept of single origin tea in 1988 when the family company went against industry trends to declare its commitment to authenticity. 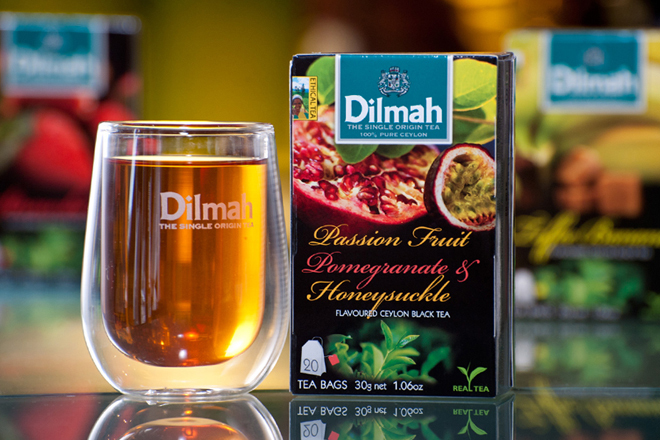 Dilmah was the first producer owned tea brand, and offered tea ‘picked, perfected and packed’ at origin and unlike the multi-origin blends, Dilmah brought tea that is freshly packed at source.